Home/Technology/3D Filament – What you should know? With so many types of 3D filament on the market today, we reviewed 10 spools from 2 suppliers for our testing. We used a Makerbot replicator for our testing and we used 1.75mm ABS and 1.75mm PLA. These two suppliers were on a list we found from an outside source and since they both had close pricing that was under 30.00 a spool, we selected them for those reasons. Is all filament created equal? Not at all, tolerances, color, material used to create the filament, all matter when it comes to the quality the filament will deliver. 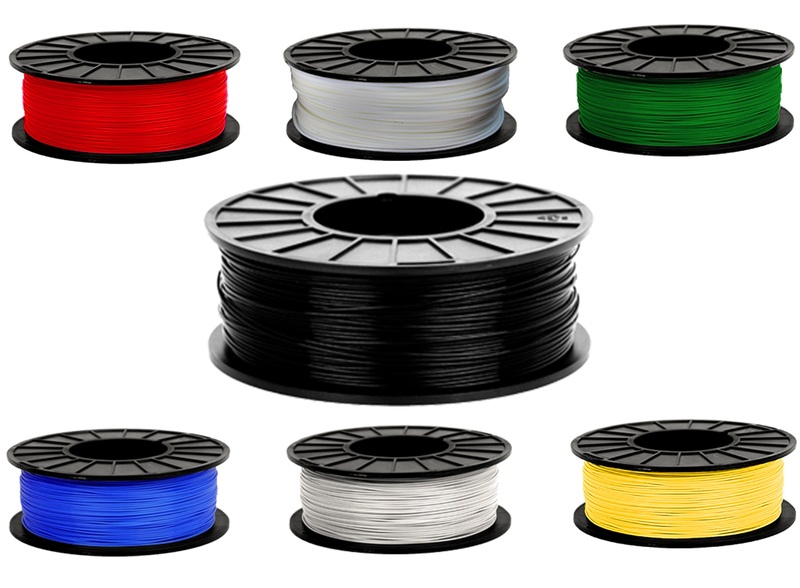 Although filament is primarily made the same way when it comes to manufacturing, the output is what is the most important after the plastic has been melted again. Just like steel, if it is ever cut and welded, the steel strength is never the same. Consistency 2 out of 5 stars – We measured 1.5 hours in and 2.5 hours in and found 0.09 on both measures (+0.04 more than promised). In the coming months we will be comparing Cheap 3D Filaments with other filaments to see how they stack up against others in the industry. Based on what we have asked throughout our community, Cheap 3D Filaments is more than likely to become a leader in 3D filaments. They have been in business since 2010 and some of the folks on ebay that sell the filament all had good reviews.